Ready for an escape this winter? How about a little literary trip to a champagne vineyard in France? Sounds idyllic, doesn’t it? And yes, I realize it still gets cold there, but you have to admit, the idea of it is pretty romantic. 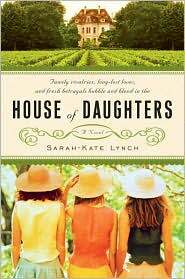 In House of Daughters by Sarah-Kate Lynch, the story revolves around Clementine, the daughter and rightful heir to the House of Peine, a vineyard that has been in the family for generations. However, after her father dies, Clementine soon discovers that she must share her inheritance with a half-sister she’s only met once and with another she didn’t even know existed! Needless to say, all is not happy in the Peine household. 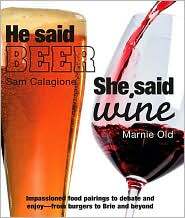 The sisters struggle not only with each other but with trying to keep the vineyard afloat financially. Secrets, scandals and long lost loves all keep this story bubbly and upbeat, but robust enough to savor long into the night. Share a toast to sisterhood and celebrate this read with your own bottle of champagne. C’est la vie!